Break a sweat—not the bank—and make those fitness resolutions this year without sabotaging the financial ones. Getting in shape doesn’t actually have to cost you anything at all. Borrow workout DVDs from your local library. Download fitness apps onto your smart phone. There’s something out there for every fitness level, whether you want to track calories and count steps each day, or calculate your macros and train for a 5k. Take advantage of free trial memberships and guest passes when you want to try something new at a gym or fitness studio. Don’t forget we live in an area with some of the beautiful hiking trails, greenways, and biking trails you can find. Some of the fittest athletes in the world are boxers, and you can mimic their routines with a jump rope and a punching bag — that’s pretty good proof you don’t need hundreds of dollars worth of cumbersome equipment to get into fighting shape. Have $10-$15 to spend? You could pick up a jump rope for some of the most efficient cardio around. Have $30-$40?You could buy a set of resistance bands, a speed bag, or a home pull-up bar. Willing to invest at least couple hundred? You could look for used cardio equipment, barbells, and/or a workout bench on eBay and Craigslist or at stores like Play It Again Sports. Score deals on gyms, studio classes, and training sessions. Home workouts are great, but some people enjoy the social aspect of working out, or feel more motivated when they’re paying for a gym membership. Luckily, there are often ways you can get a better deal than the advertised rate. Don’t be afraid to negotiate with gyms on membership costs. Tell them you’re looking into other fitness centers as well, and ask them to offer you their best possible deal. That could mean waiving the initiation fees, discounting your monthly membership cost in exchange for a full upfront payment, or offering a better rate when you sign up with a friend or family member. Share a personal training session with fit-minded friends. 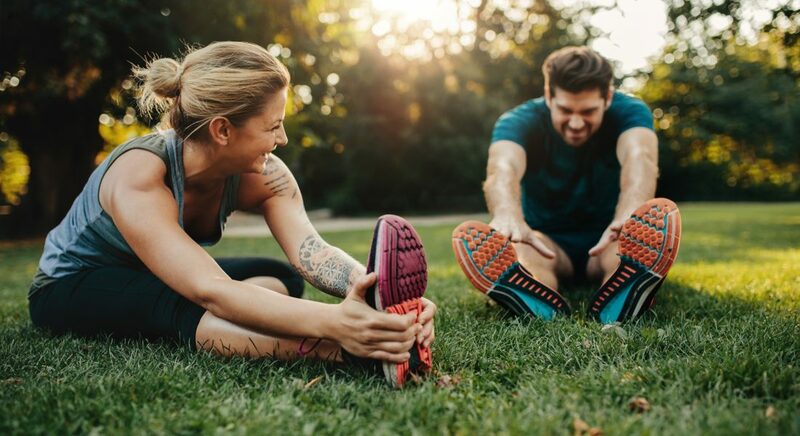 If you can get together a small group of workout buddies to book a shared session with a trainer, you’ll usually pay less than you would for an individual session. Scour Groupon.com for discounts or promos on fitness classes. Ask for a student, senior, military, or teacher discount if any of these categories apply to you. If you’d love to join a gym but your current financial situation is making it tough, consider your local YMCA. YMCAs are not-for-profit and many offer financial aid on memberships to those who need it.